Deluxe suite with sea view of 102 m2 located on the second floor of the building and consists of a living room and dining room with integrated open kitchen, two bedrooms and two bathrooms. All rooms are air-conditioned. 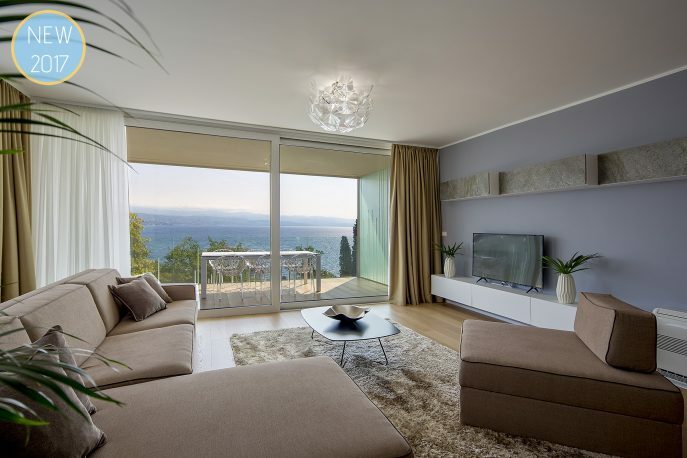 The living room is also a sofa, flat screen satellite TV. 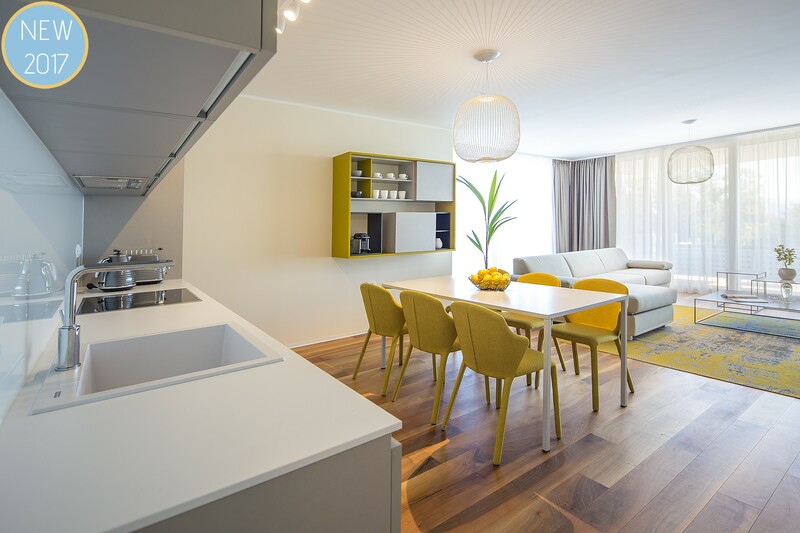 The kitchen is equipped with dishwasher, hob, oven and refrigerator with freezer. 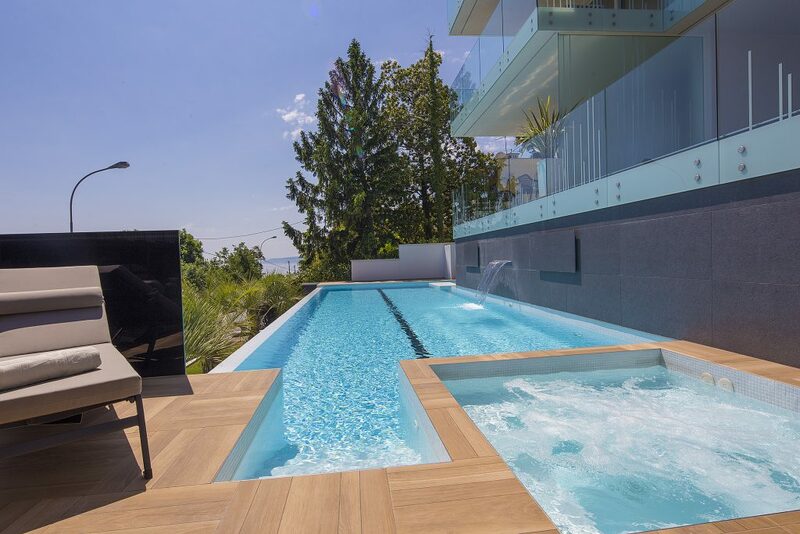 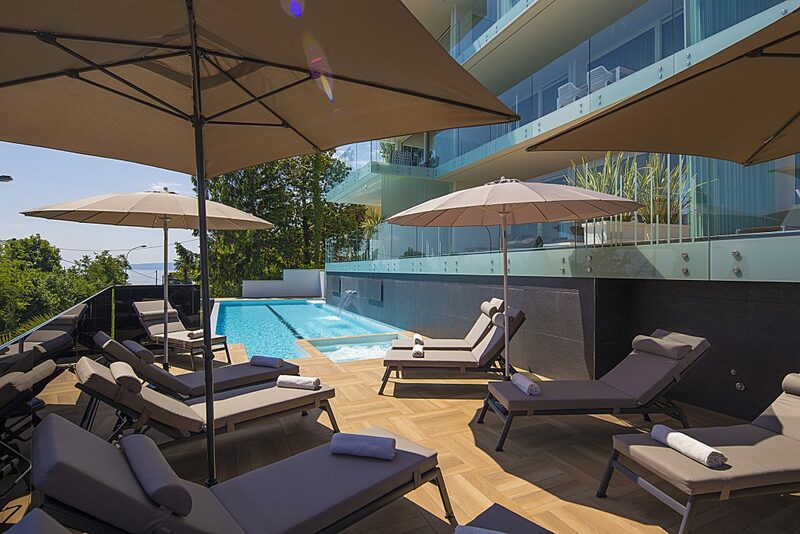 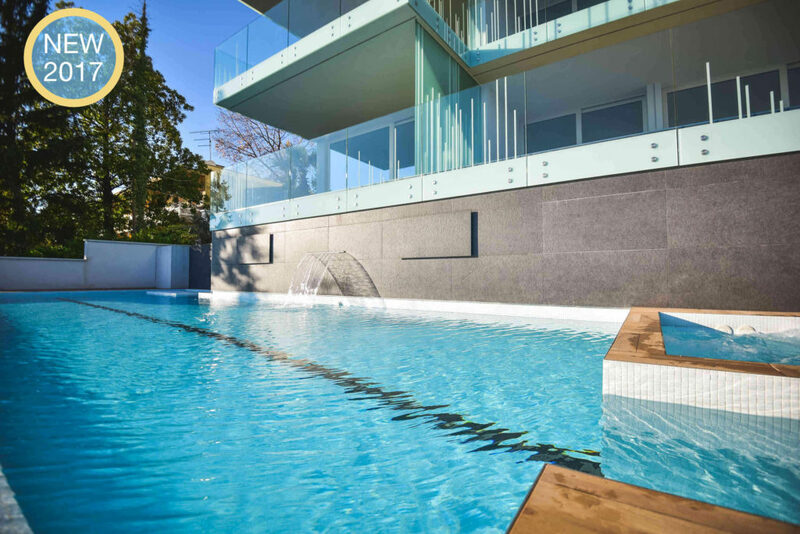 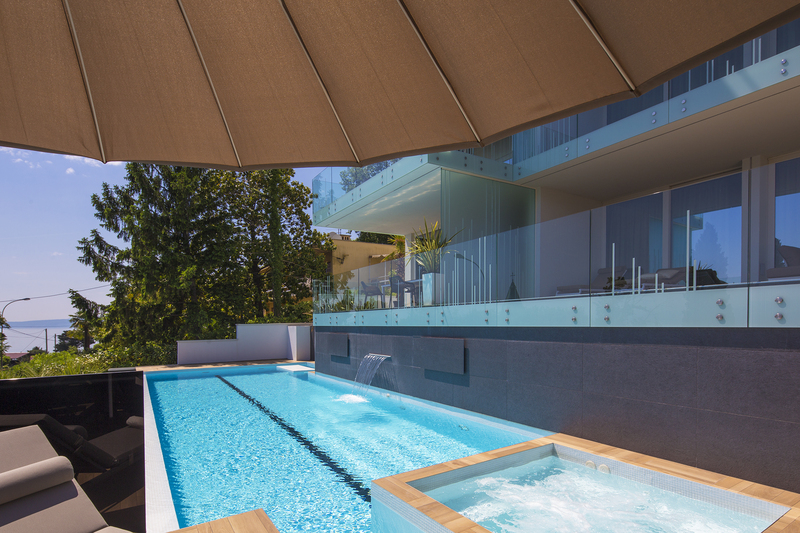 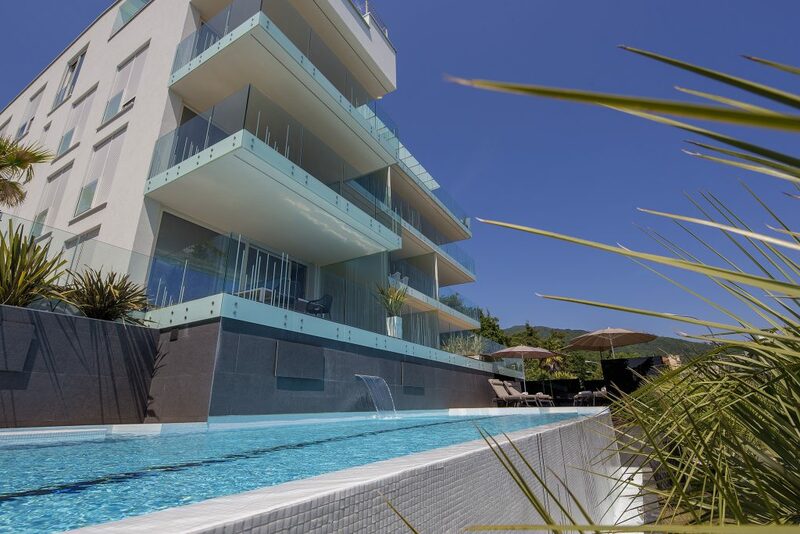 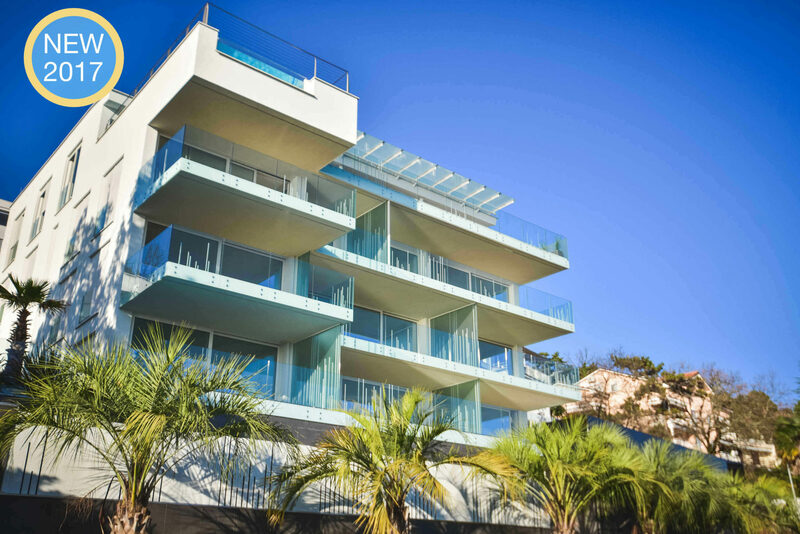 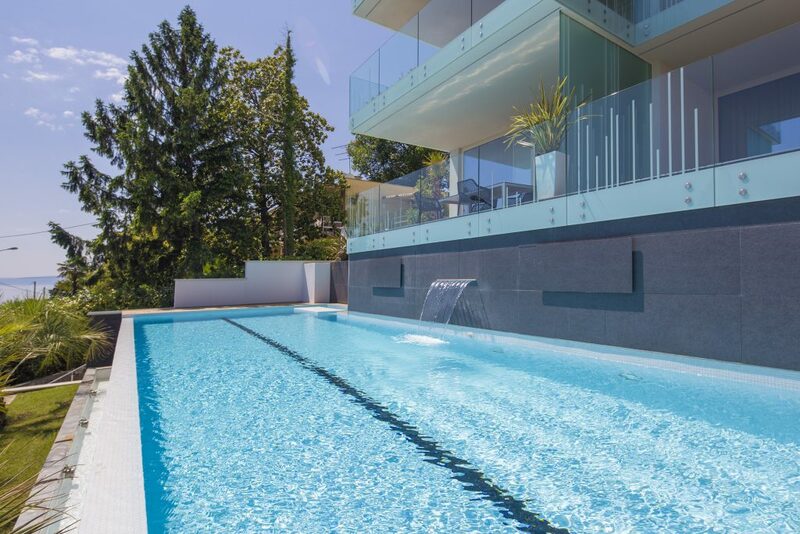 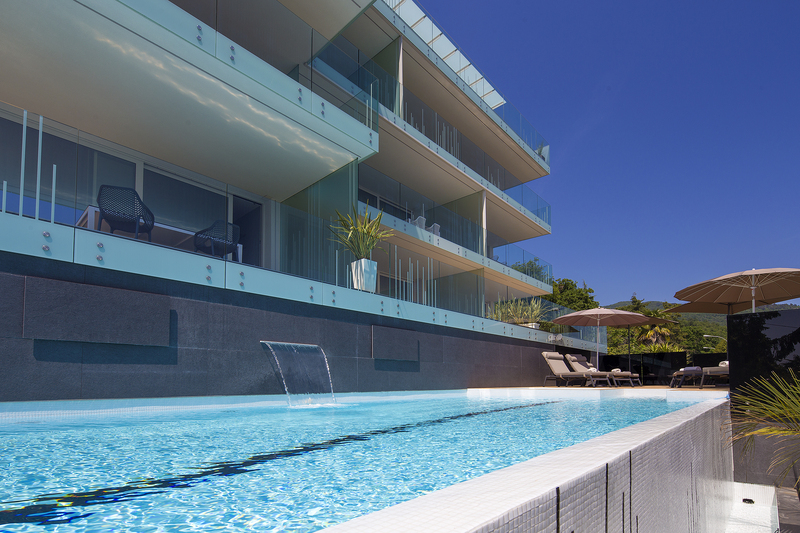 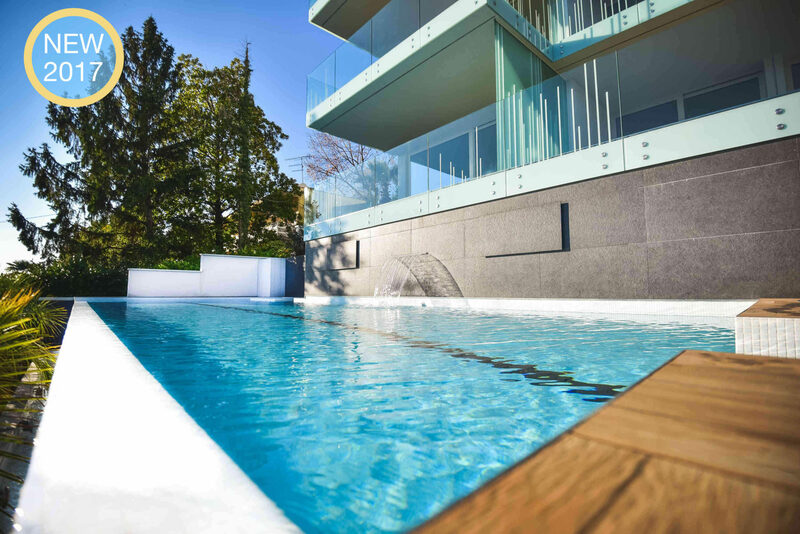 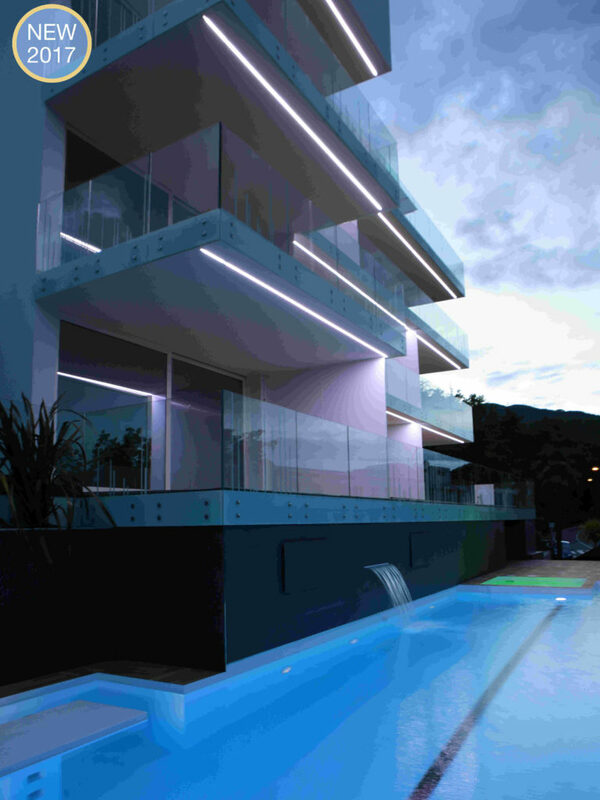 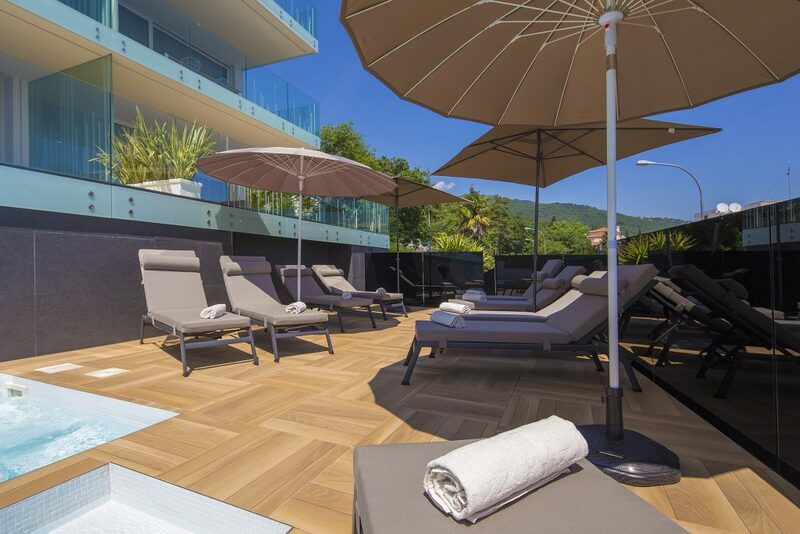 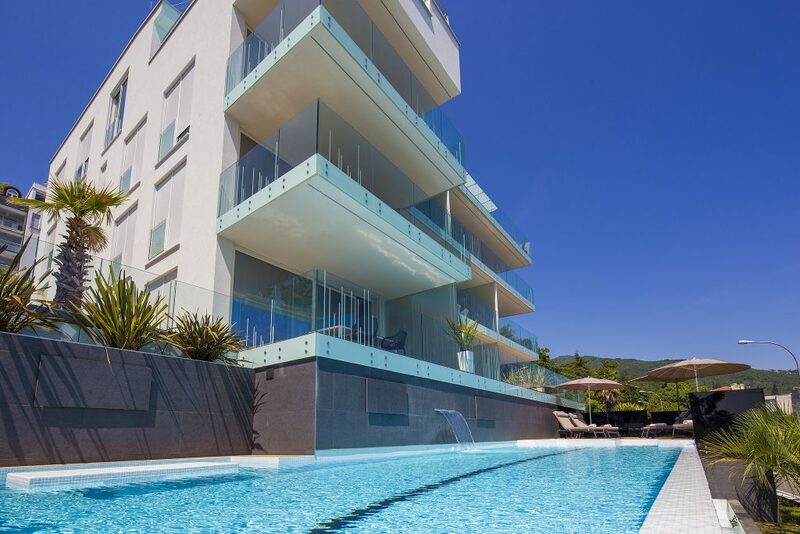 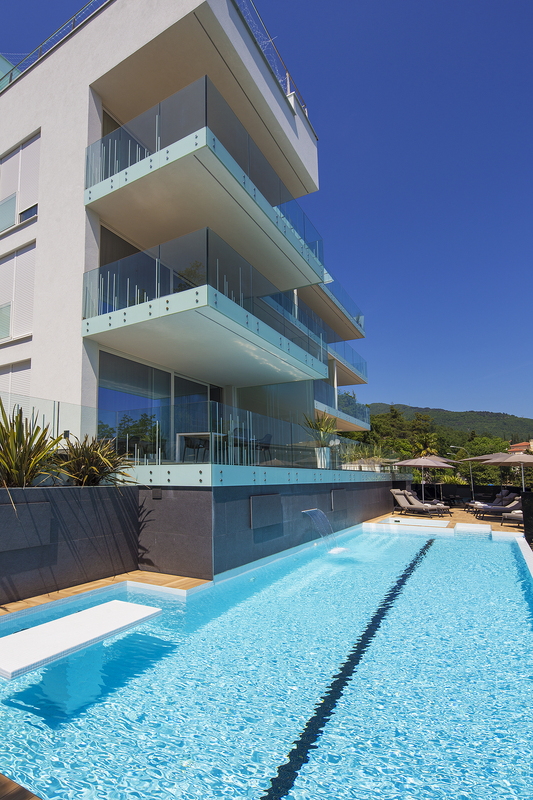 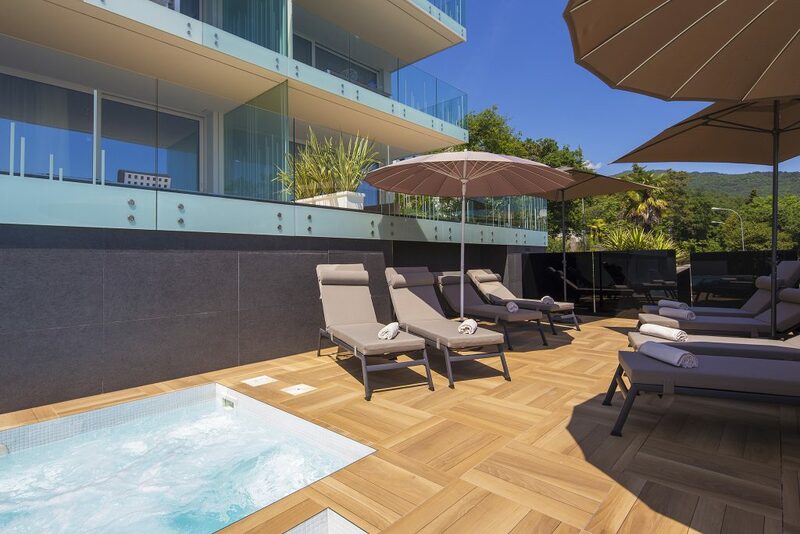 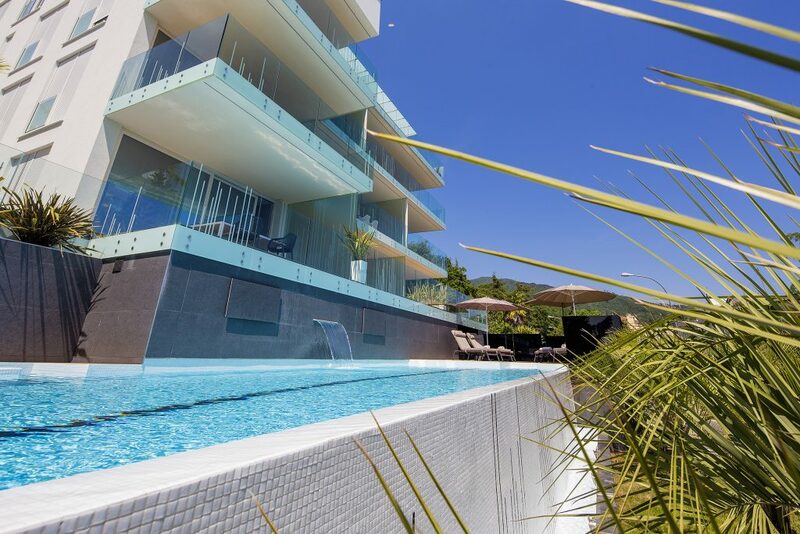 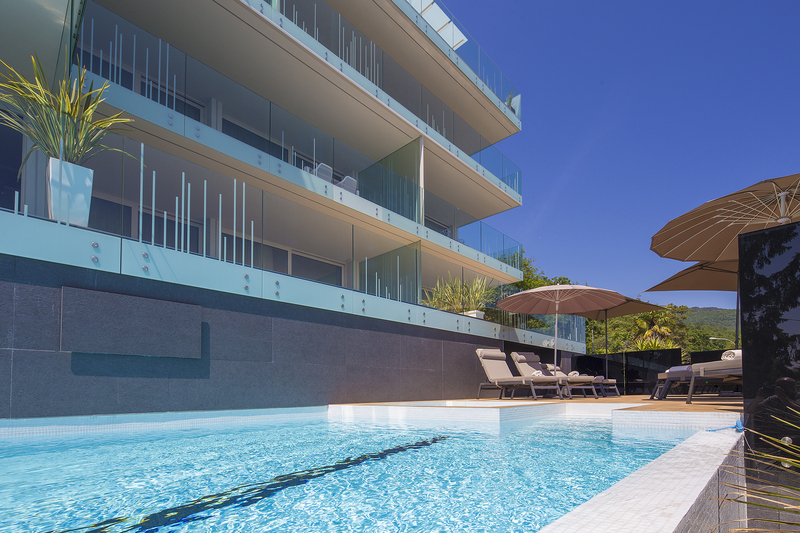 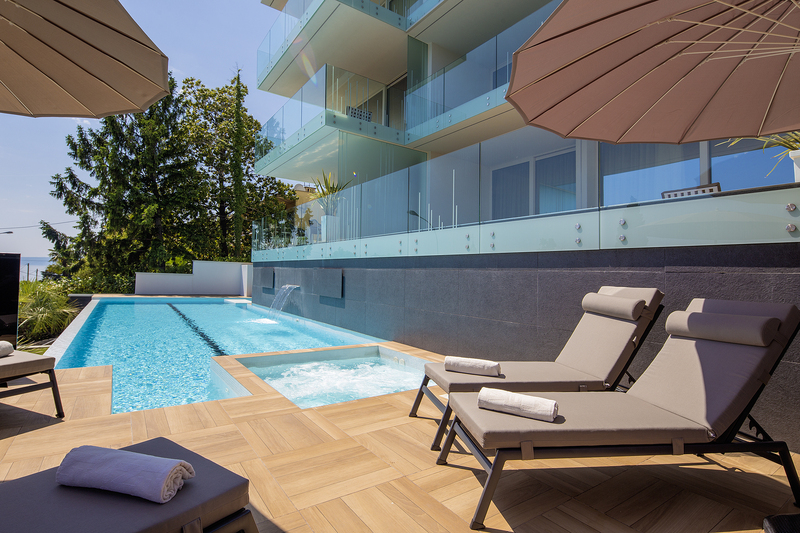 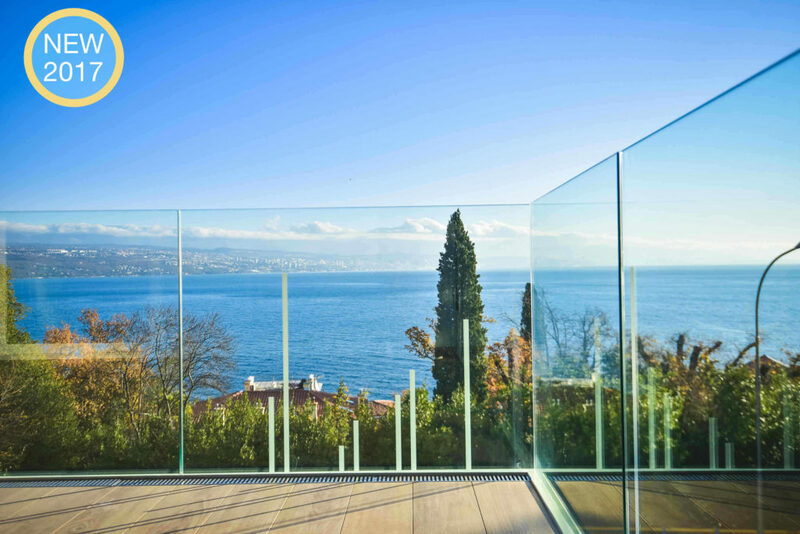 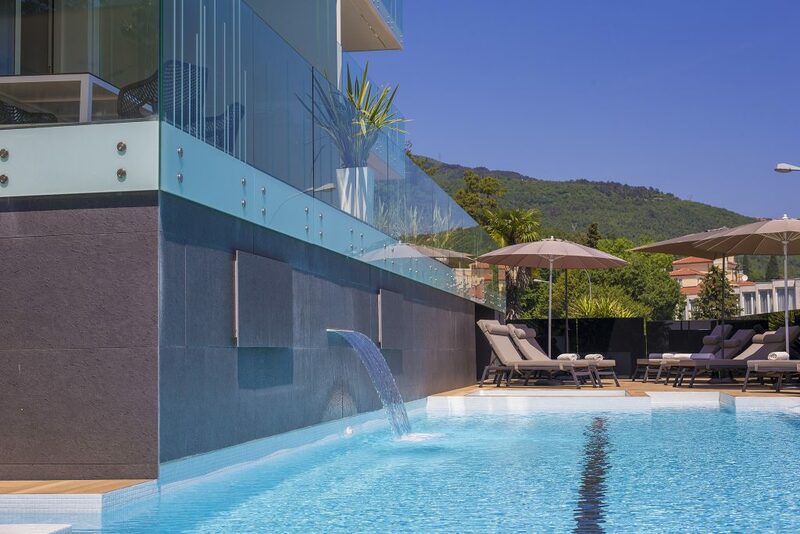 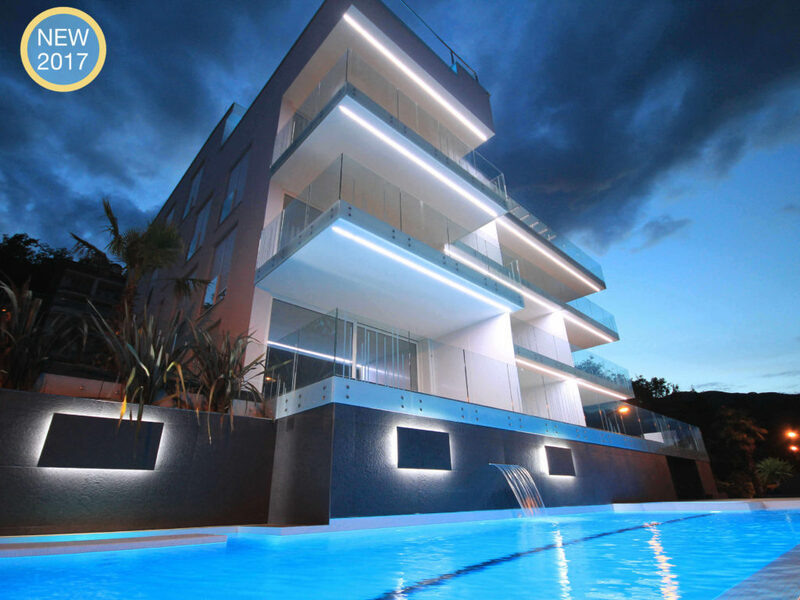 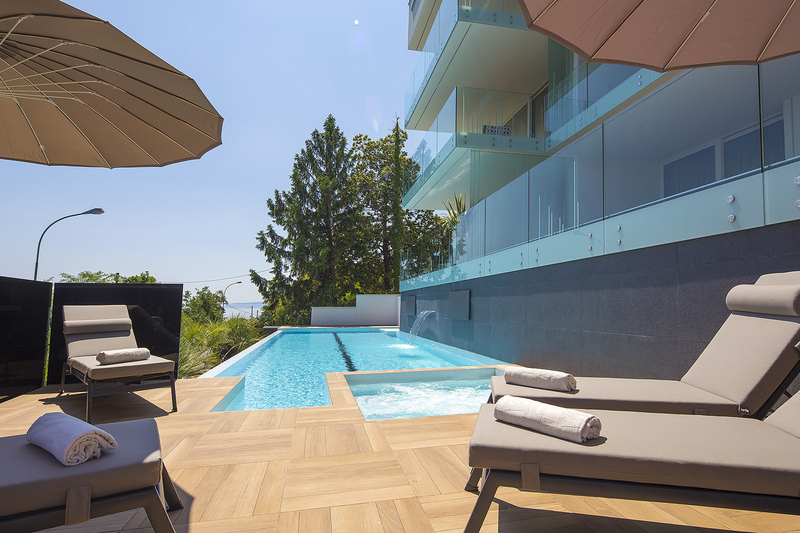 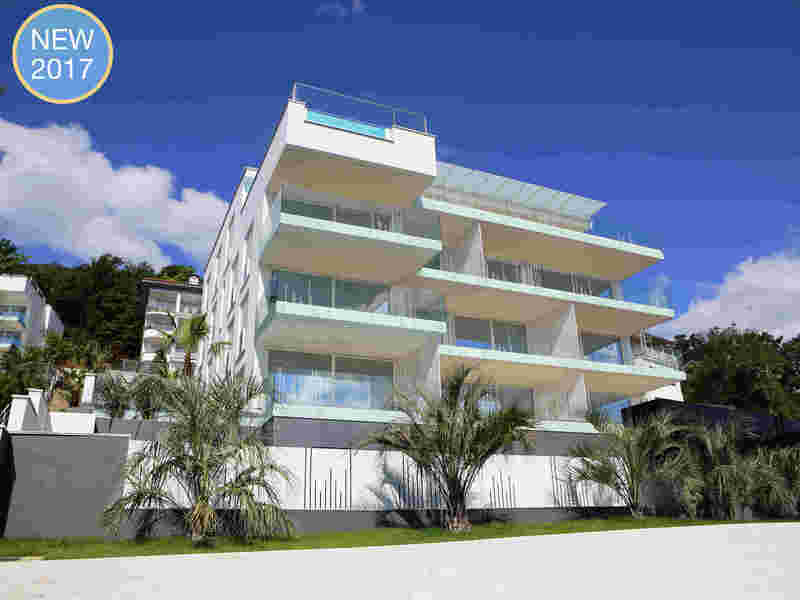 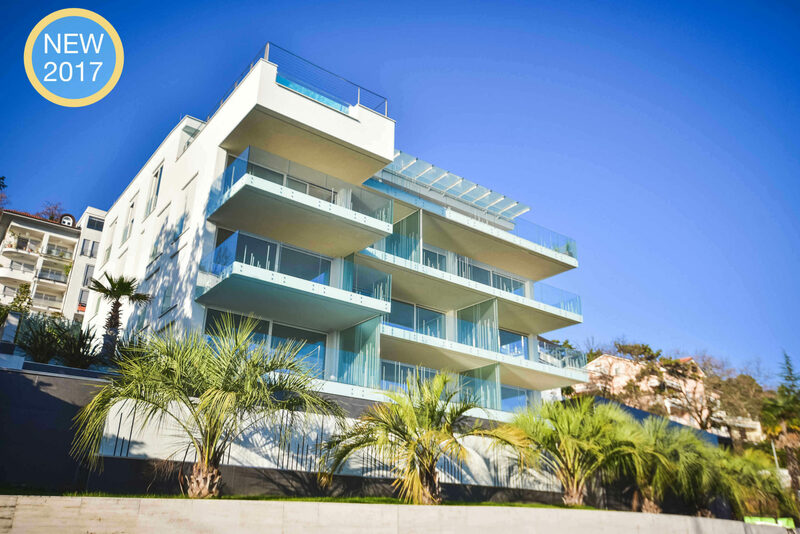 Deluxe Apartments Opatija are located in the new modern building near the center of Opatija, only 250 m from the sea. 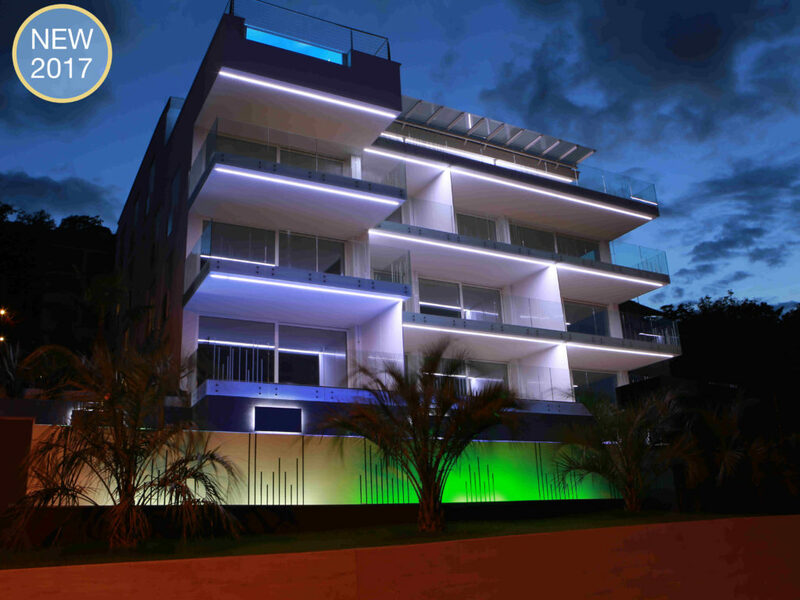 All apartments have air conditioning, flat-screen TV with satellite channels and DVD player. 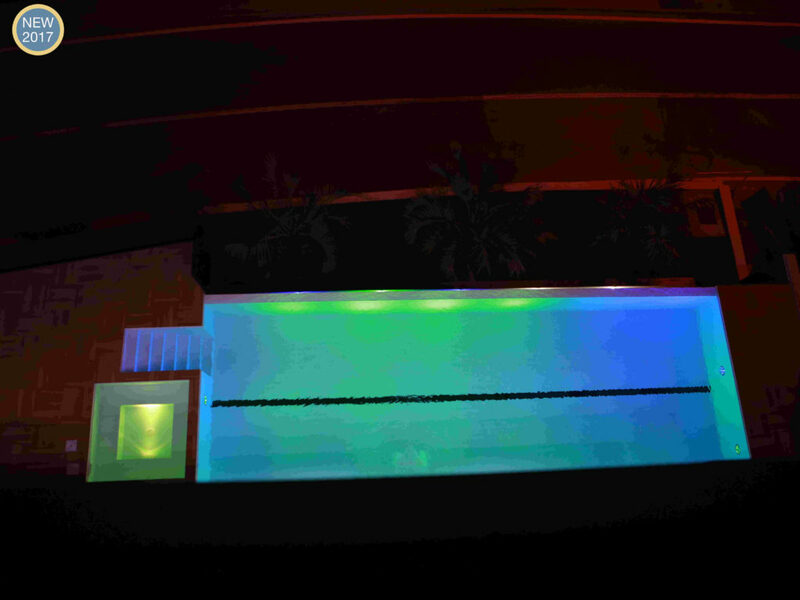 The entire facility is available free WiFi. 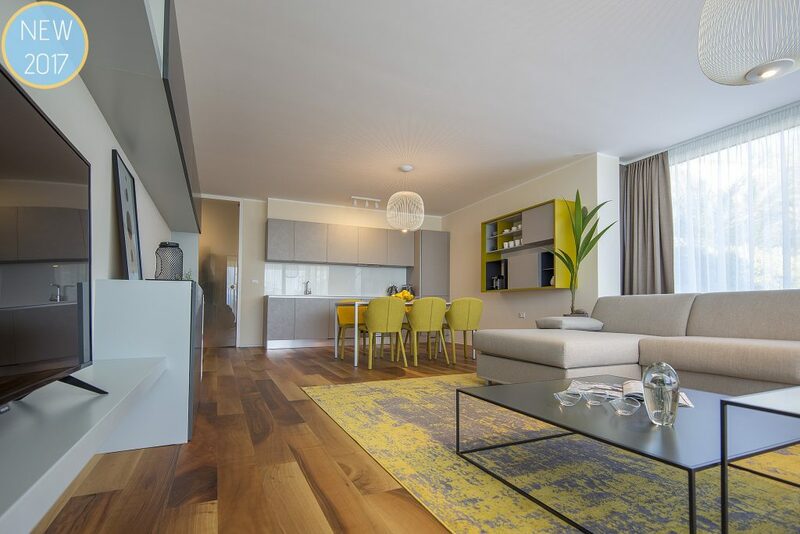 The kitchen is equipped with dishwasher, hob, oven and refrigerator with freezer. 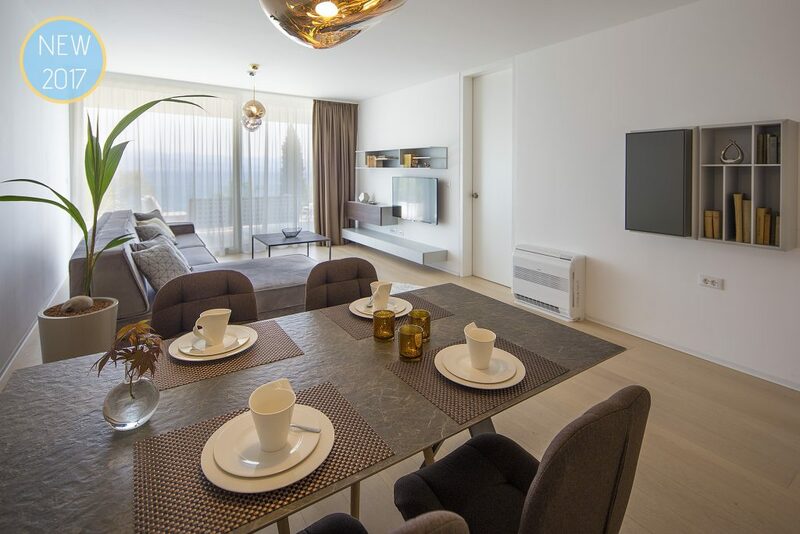 They are also available in the kitchen microwave oven, toaster, electric kettle and coffee machine. 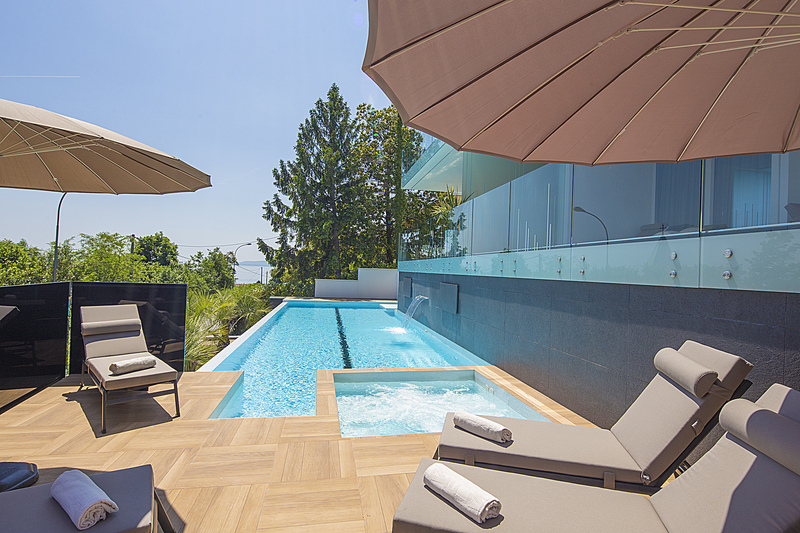 Modern equipped bathrooms have underfloor heating, include walk-in shower and hair dryer. 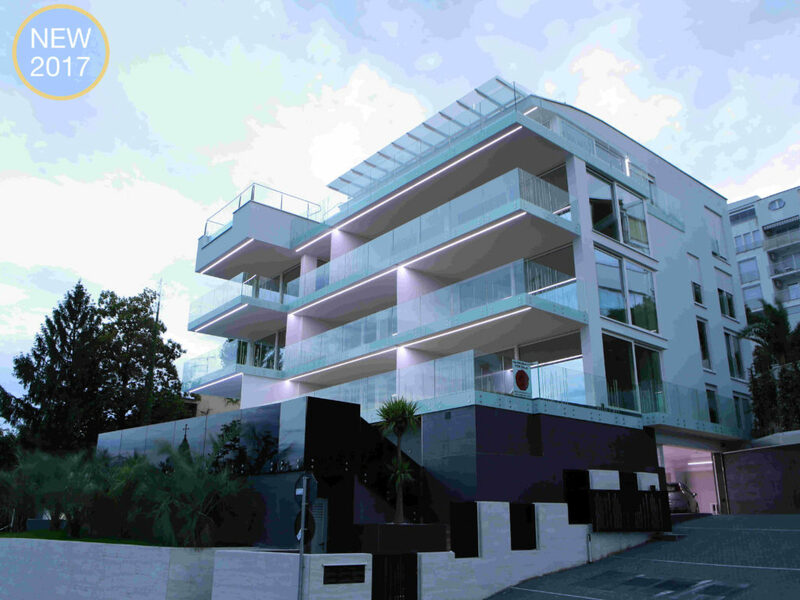 Within the building are available on the use of washing machine and dryer, and parking in the garage, which is under video surveillance. 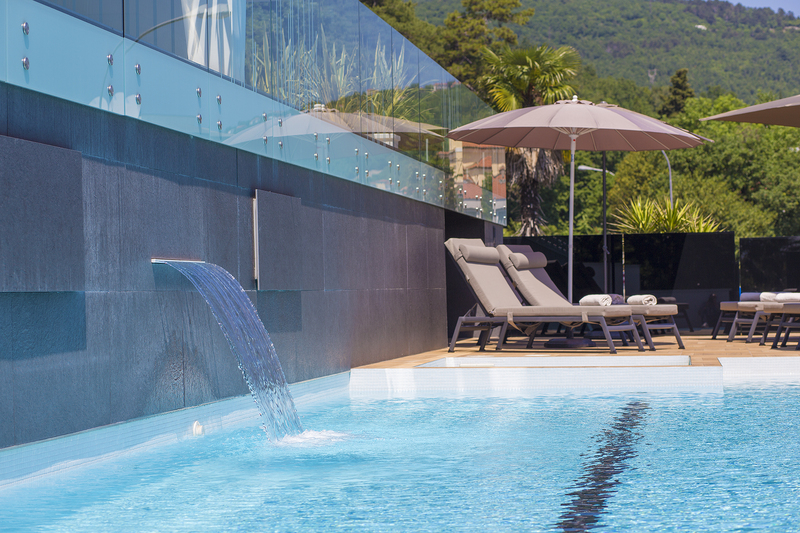 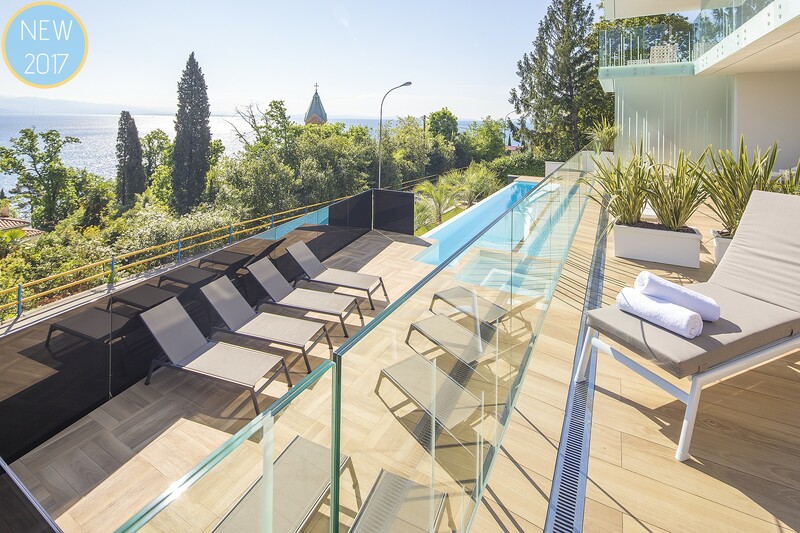 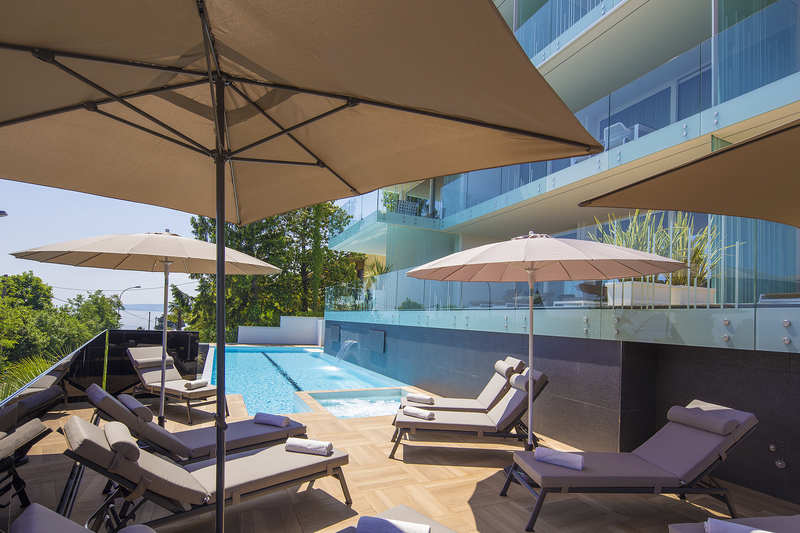 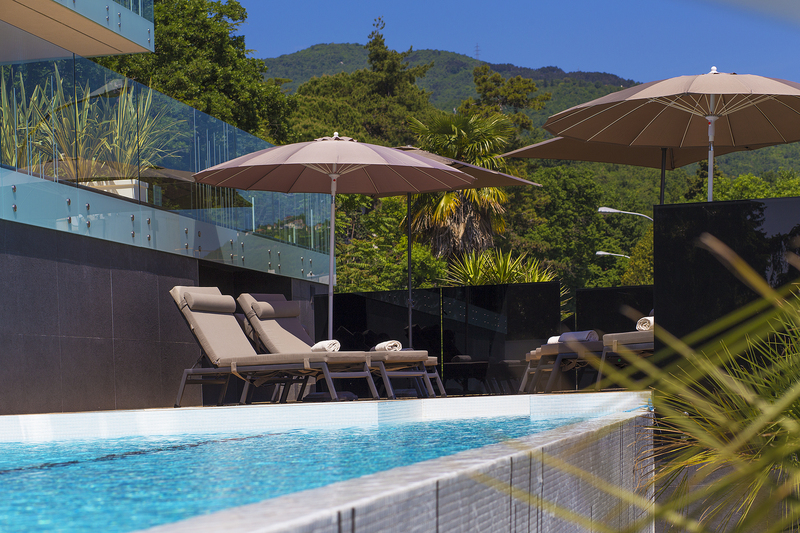 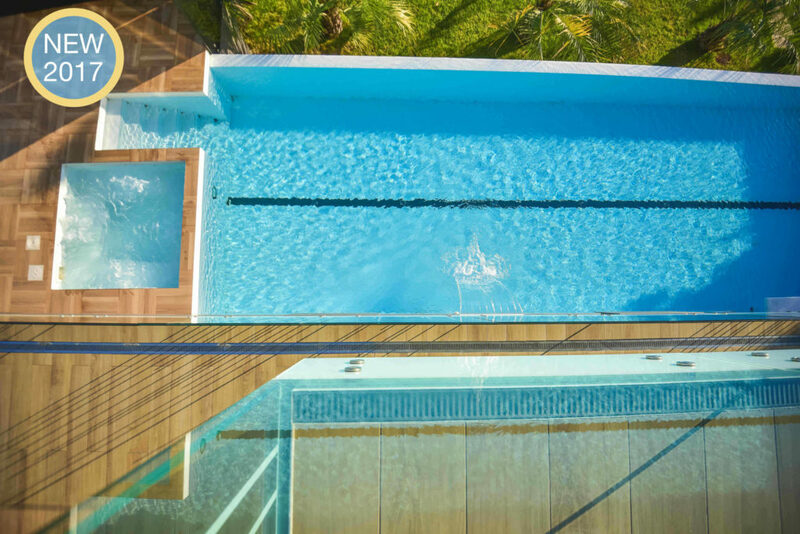 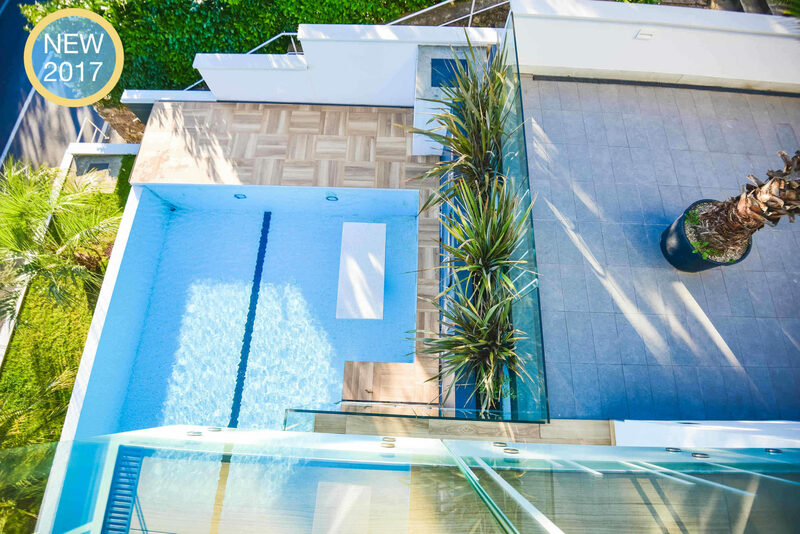 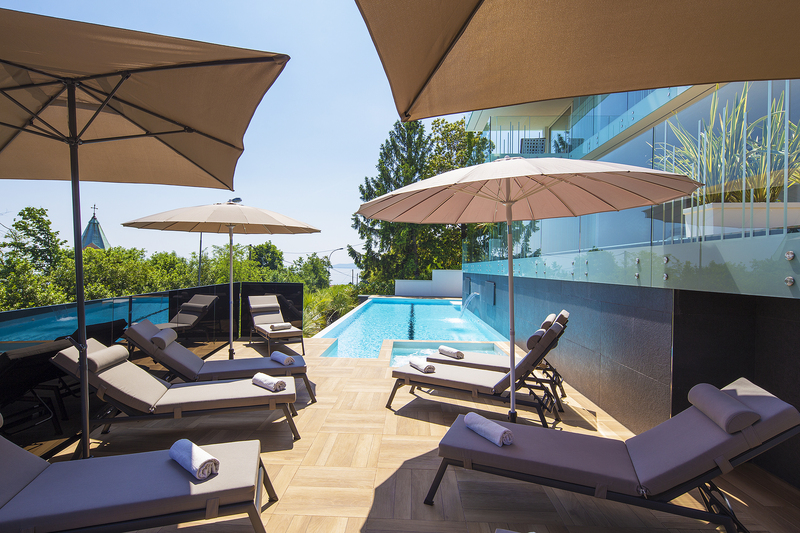 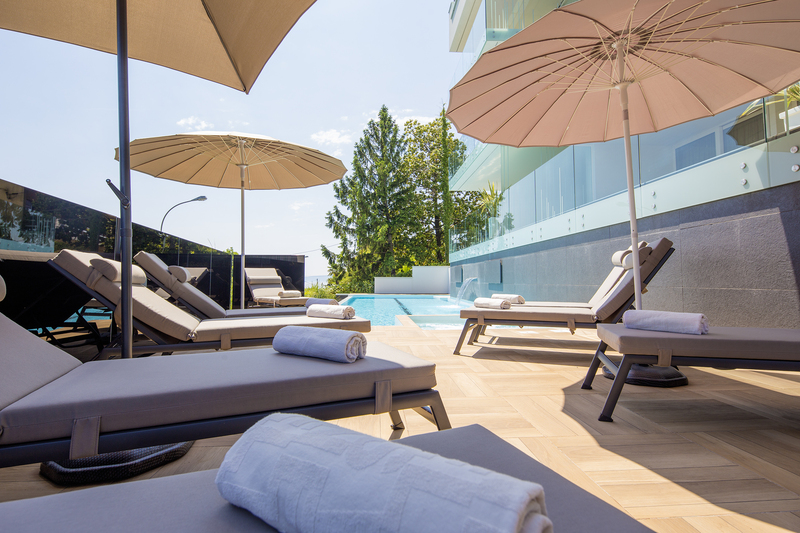 Guests of Deluxe Apartments Opatija can use a swimming pool, a jacuzzi and a terrace equipped with deck chairs and umbrellas. 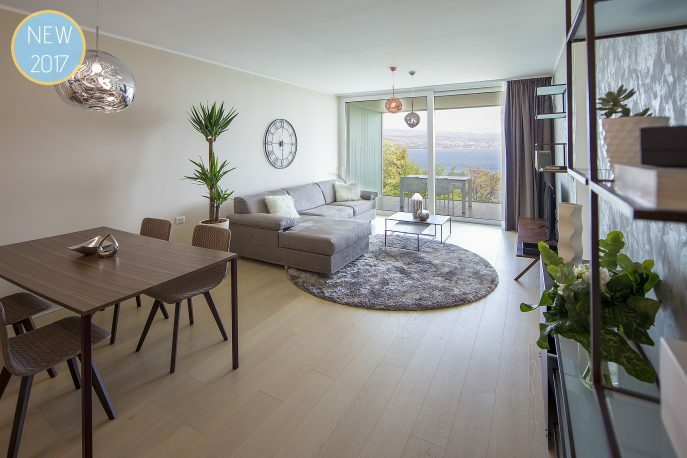 Near the house is a promenade Lungo Mare (250 m), restaurants and bars (300 m), a marina where you can rent a boat, boat, or by tourist boat to visit the islands of Krk, Cres, Losinj (300 m). 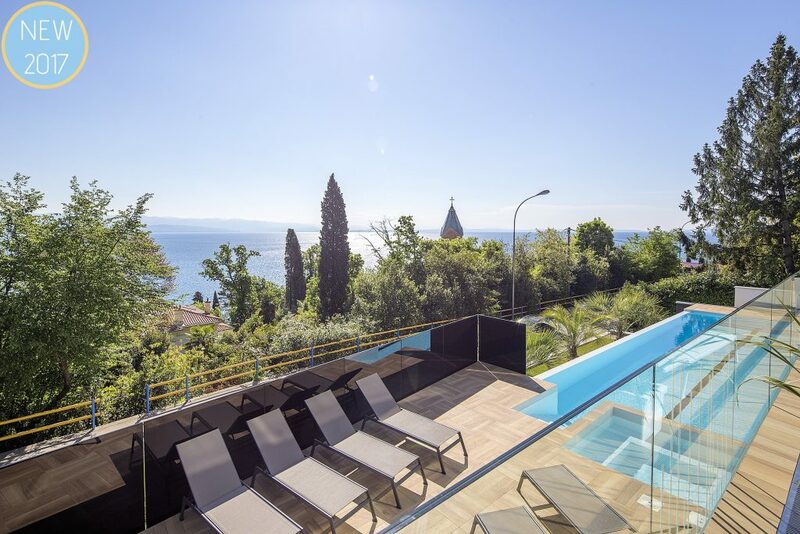 Rijeka airport is 45 km away. 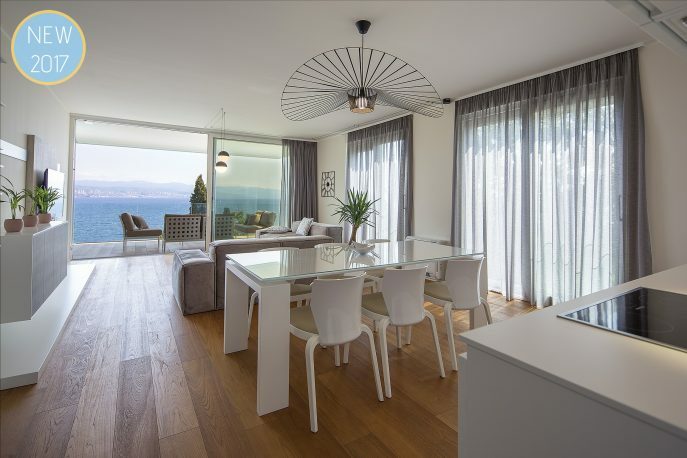 Deluxe Apartments Opatija offer comfortable accommodation for 2 + 2, 4, 4 + 2 and 6 people. Each of the 7 suites is specific in its own way. 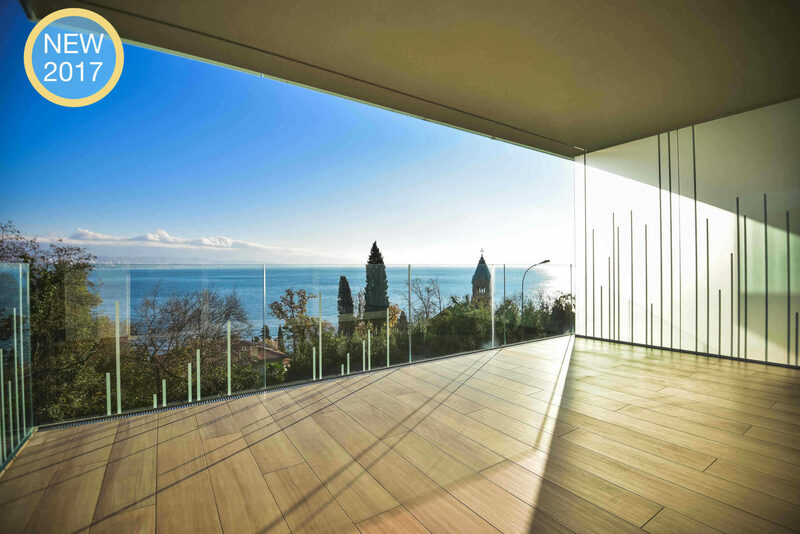 That moment when you open the door of the apartment, flashed your view of the Kvarner archipelago, a huge glass wall that spans the entire space creates the feeling of being on the high seas. 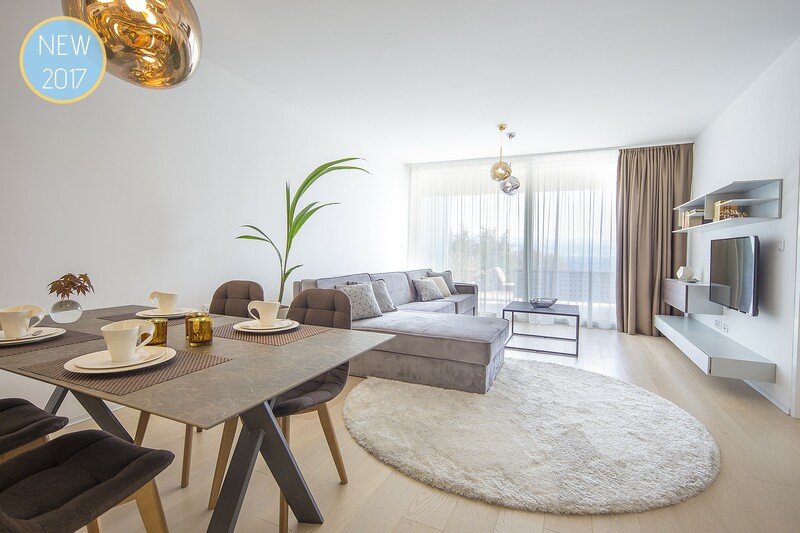 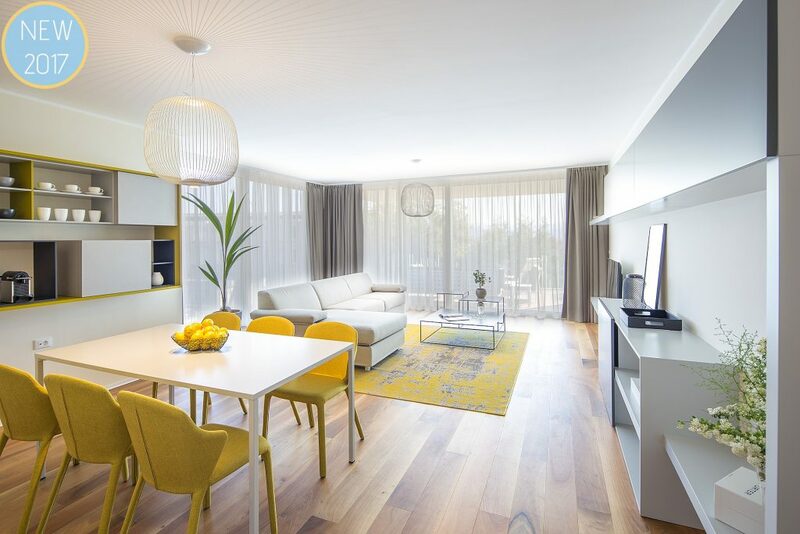 Great design, carefully selected details and spaciousness are the key elements of each apartment. 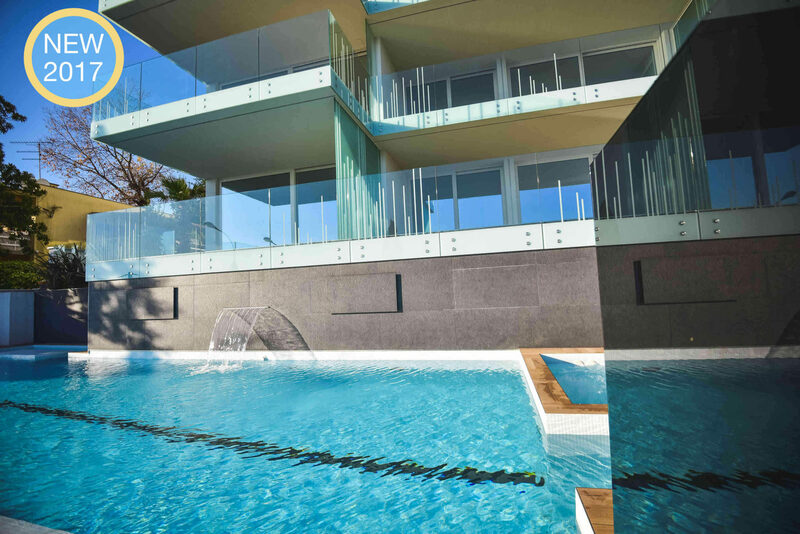 Best of all, just one step, and in the sea you!